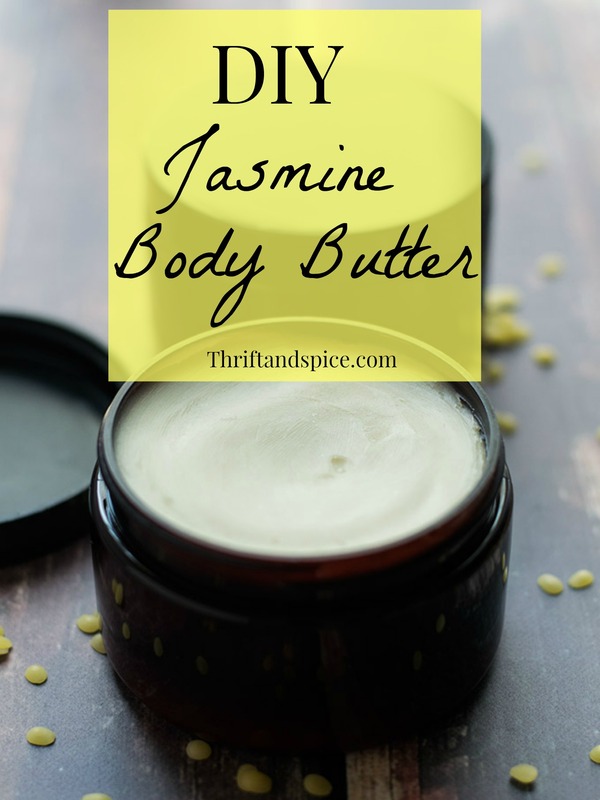 Today’s post is a guest post from Carissa over at Thrift & Spice blog and I am thrilled because she is sharing how to make your very own DIY Jasmine Body Butter – something I have been wanting to learn how to make myself! And also, because my son suffers from really dry skin so I am excited to try this out myself. So without further ado….. here’s Carissa. I am very excited to share this post with you all today! It has been over a year since I have used any store bought creams or lotions. I’ve spent all of last year trying to remove any toxins and chemicals from my family’s life. 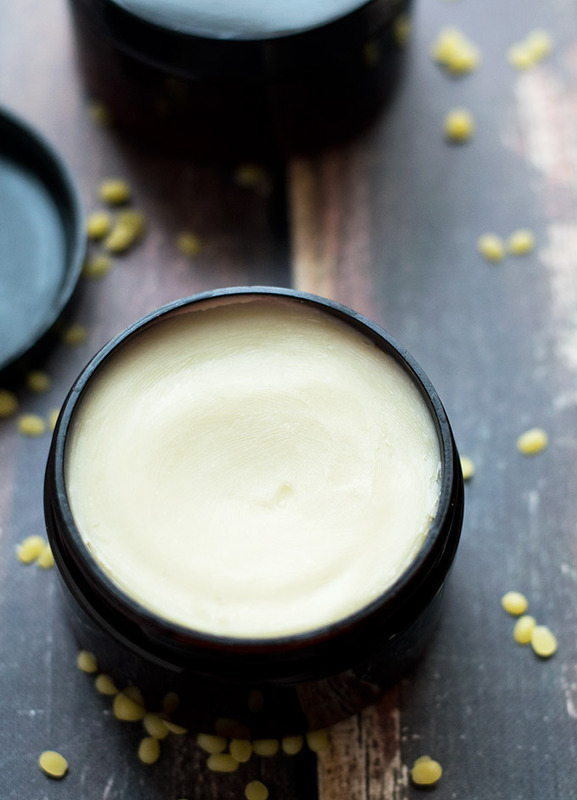 Making my own body butters is one of my favorite ways to do so. Not only does it not contain the chemicals that store bought creams have but it is also cheaper and way more moisturizing than anything I have ever bought in a store. My family’s skin has never been so soft. In fact just last night I had my nephew and bathed him and later that night my sister called me wanting to know what lotion I put on him. She was shocked at how soft and smooth his skin was. 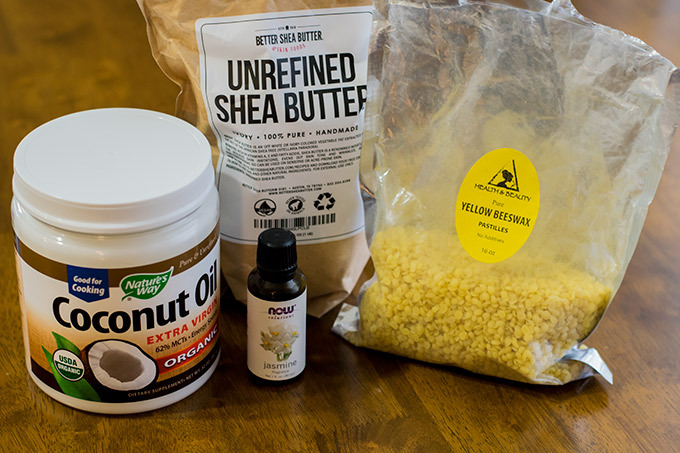 Making your own body butter is actually very simple. You don’t need any fancy complicated appliances to make it. I make my own double boiler by putting a glass bowl over a pot. Some people just use a double boiler but there is no way I’m buying a double boiler when this setup works very nicely for me. If you decide to use this setup just be very careful and use pot holders as the bowl will get hot! Also make sure to keep all the ingredients in the bowl and not let them drip down onto the burner as beeswax is flammable. As you can see in the photo below the glass bowl should not be able to touch the bottom of the pot. Nor should it touch the water in the pot below it. Fill a pot about a little less than half way with water and bring to a boil. Place all ingredients except for the essential oil in the bowl. Slowly stir ingredients with a spatula until melted completely. Remove the bowl (with pot holders) from the heat and let cool until warm. Before pouring the melted ingredients into the little jars I let it cool down and then I add the jasmine oil. Then pour it in the little jars which I think are really cute. Then let them set up in the freezer for an hour or two. I really like the consistency of doing it this way. I prefer not to whip mine. Plus it’s just easier not to! Just make sure to keep it in a cool place. 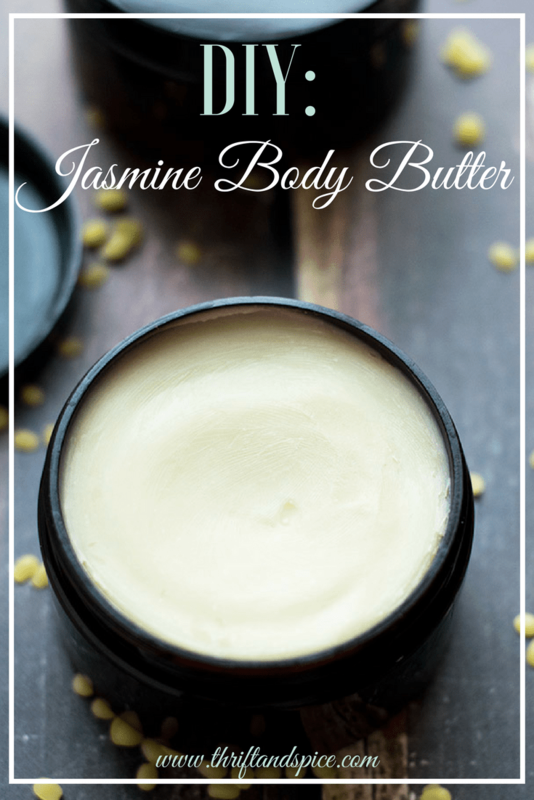 I am so obsessed with jasmine essential oil right now! It is actually my favorite essential oil. It is such a beautiful and relaxing scent. These make excellent gifts for women! And it is super affordable especially if you are going to make a big batch. 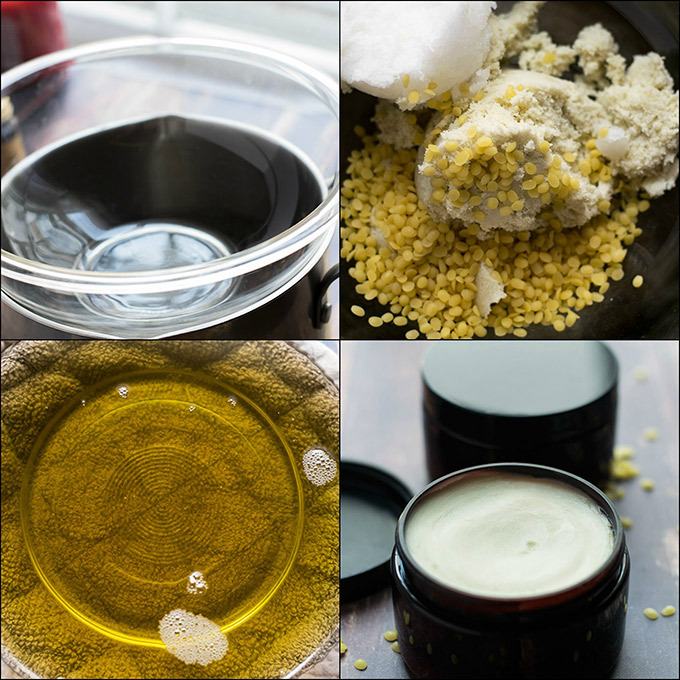 Who else makes their own skin care products? 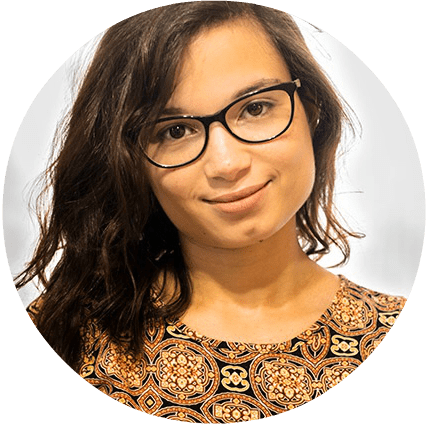 I love hearing how other women make theirs!